Considering the problems facing our world, we vitally need not only new ideas and solutions…but new ways of thinking about reality itself. With patience, compassion, and humor, Marina Ormes leads you by the hand into this consciousness-expanding adventure that jars awake something ancient slumbering inside you. She takes you on a journey far into the cosmos, but where she leads you is into an awareness of the deepest parts of yourself. This guidebook to what astrology really is will help anchor you in a collective paradigm that can handle new dimensions of awareness across many disciplines. This new and yet ancient system takes you beyond linear thinking into expanded possibilities that are cyclical, holistic, and multidimensional. 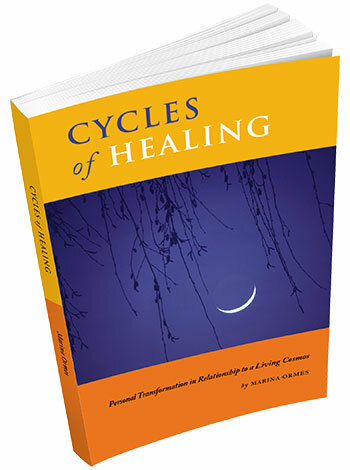 Cycles of Healing is an astrology book, but it is not only for astrologers. It is for holistic healers, visionaries, and those who know they have a purpose to fulfill in this lifetime. Packed with approachable gems of wisdom that help you see your life from a new perspective in multiple dimensions of awareness, this book will change you from the inside out. Believe more fully in yourself, and serve others with greater alignment and clarity. 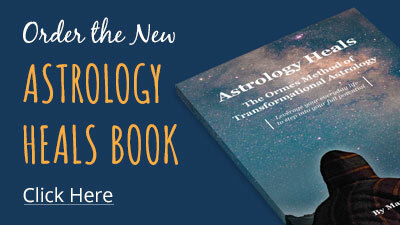 Includes a Foreword by Tom Jacobs and beautiful graphic images with exercises that help you not only interpret your astrology chart but also see how natural cycles support ongoing growth and change. Special Bonus When You Buy the Book! This interview will help you understand why evolutionary astrology supports self love, self trust, and empowered healing and evolution. It will also help you understand why evolutionary astrology is NOT a tool for fortune telling or predicting the future. You will love this fun and informative conversation about how astrology heals. Step One: Buy the book using the button above. Step Two: After you have purchased the book, return to this page and click the button below to receive the video interview. Discover how astrology can help you leverage your everyday life to step into your full potential and maximize your positive contribution to the world around you. This new book will help you move forward from wherever you find yourself in life into your full potential to manifest a life of passion, meaning, self-care, and positive contribution. Pre-order your copy of Astrology Heals: The Ormes Method of Transformational Astrology today.